Attack on Titan Season 3 Trailer, when will it drop? The Attack on Titan Author Isayama talks about changes coming to Season 3 of Attack on Titan. These Changes are to make the story easier to understand and at depth for the Titan story. A secret mystery director will be coming on board to manage one special episode for Season 3. Could it be the Levi vs Kenny episode? The Animation process will be similar to Attack on Titan season 2 with the same action scene head coming back. Levi will be the highlight of Season 3 where the focus for Attack on Titan Season 3 will be the human vs human battles. Does this confirm a shorter 1 cour season for the Attack on Titan sequel? Is the WarHammer Titan TOO Overpowered? New Attack on Titan Poster visual shows Levi Ackerman facing off against Kenny from the Uprising Arc in Attack on Titan Season 3. Does this official confirm a short 12 episode season for the upcoming sequel? Shingeki no Kyojin Season 3 confirmed for Summer anime season 2018!! Previously Funimation had announced at Anime Expo 2017 how Attack on Titan Season 3 was coming Spring season 2018. Levi Ackerman from Shingeki no kyojin is leader of the Levi Squad. Levi is known as humanity’s strongest soldier. Second to that might be Mikasa Ackerman. 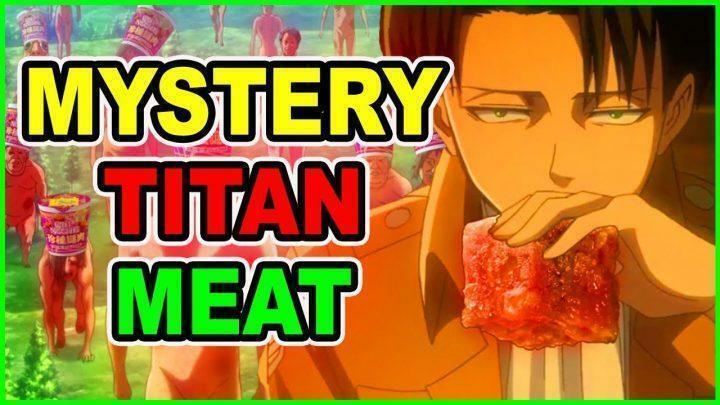 Why Attack on Titan Season 2 Only Got 12 Episodes! What is Eren’s Titan Scream Ability? Was Smiling Titan after EREN & his Mother Carla? The True Secret of WarHammer Titan & Tybur Family!